Why is everyone hating on granite. Marble you always have to seal. Granite you almost never have to seal. 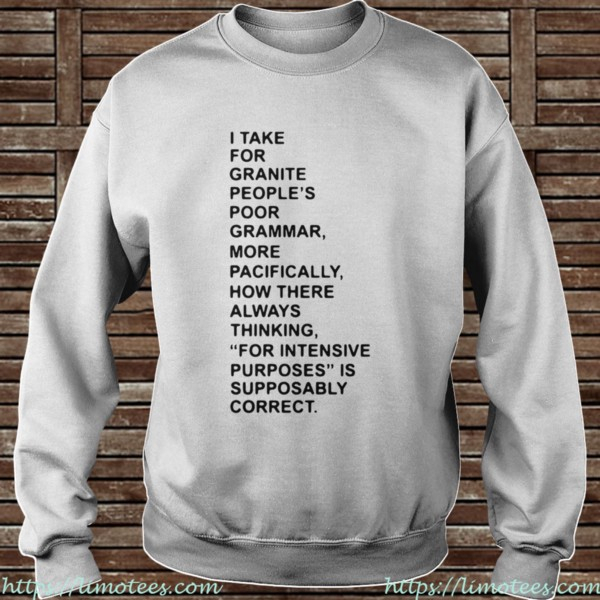 I’ve always had granite in the I take for granite people’s poor grammar more pacifically shirt, growing up and later in my own kitchens. Never had any issues. It’s very easy to take care of and naturally looks nice. Now I have quartz and honestly I don’t see any added benefits or that’s is any more durable than the granites I’ve always had. It just happens to be more trendy at the moment and a bit more expensive.